It's a bit of a time-consuming project, but an awesome keepsake for the kids and well worth the effort. We start the process by asking all of the students to bring in a pillowcase. We mark each child's pillowcase with his/her name on a piece of masking tape. Before we get the students involved, we write a poem in the middle of each pillowcase with a fabric pen. 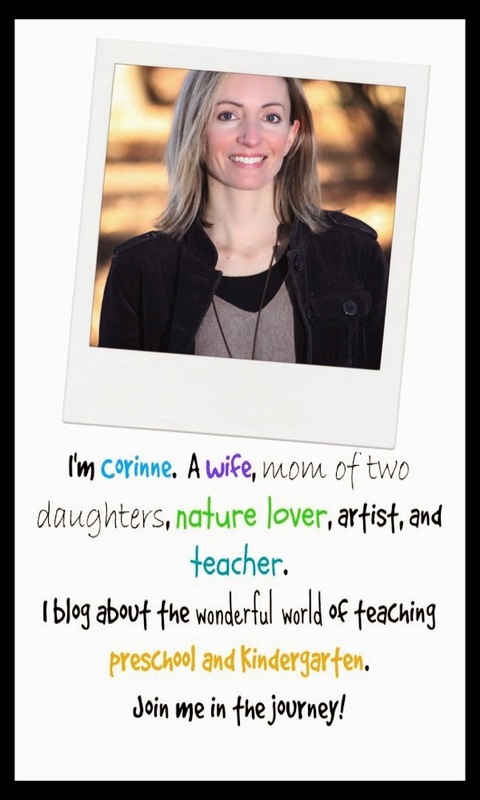 Thanks to Ms. Danica for taking on this task! Here is a close up of the poem. it's time for the kids to do their part! 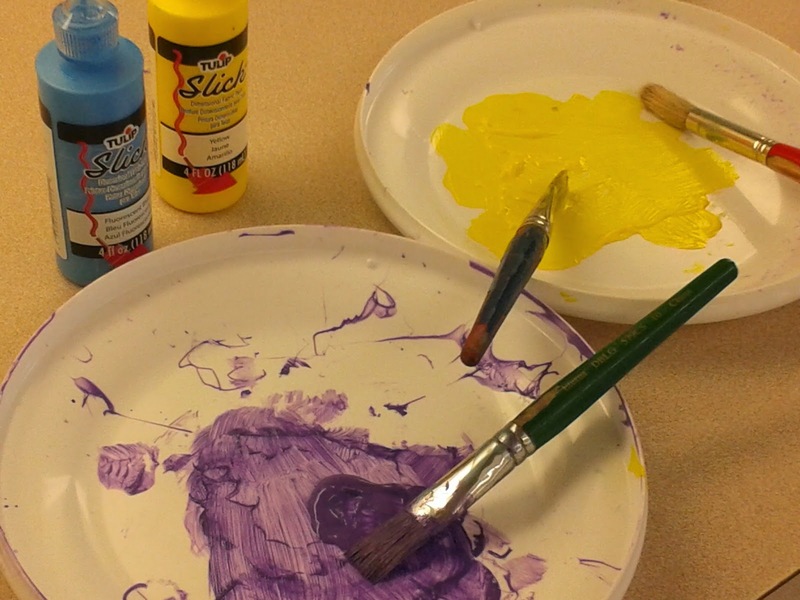 We set up our fabric paint and start making some prints! 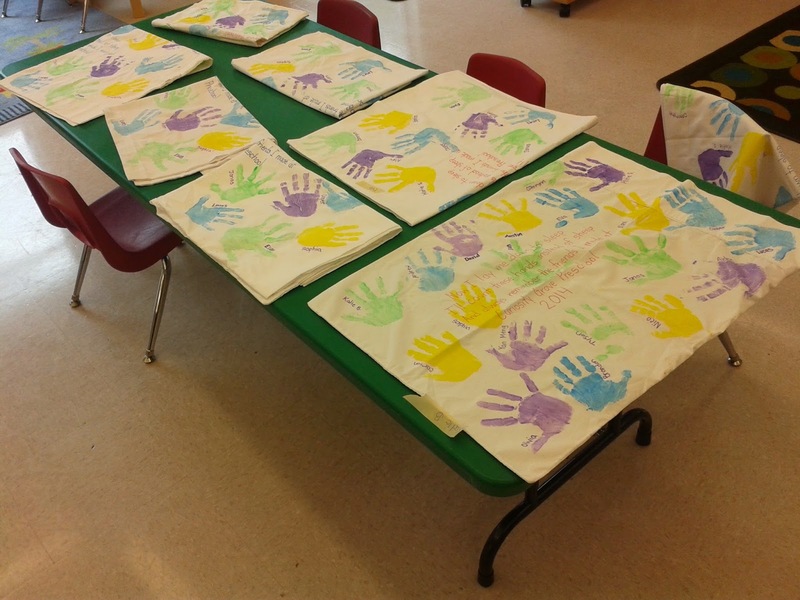 We work with one student at a time and take him/her around to ALL of the pillowcases to make a handprint. To keep the process efficient, we try to keep the placement of each child's handprint consistent (i.e., "Sarah's" handprint will be in the top left corner of every pillowcase). We also have each child use the same handprint colour throughout. We lay the pillowcases on tables so that we can just move from one to the next as we make our prints. For our collection of twenty pillowcases, we needed three tables. Beside each handprint, we write the child's name in fabric pen. And on the back of the pillowcases we'll be adding prints of both my hand and Ms. Danica's hand. We had TWO parents come in to help the children make the handprints and assist with writing the children's names by their handprint with a fabric pen. Thank goodness for parent helpers! This project takes some time, but it's definitely worth it. 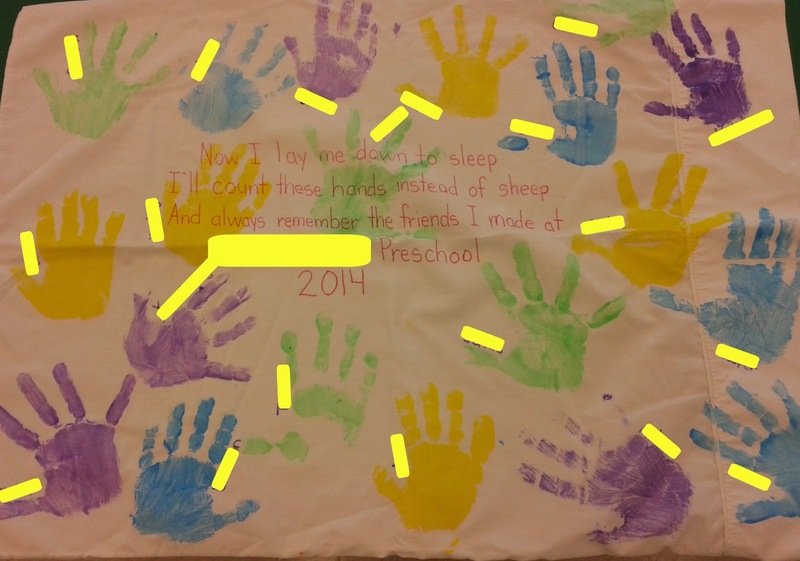 The children love their pillowcases and it will be a great way to remember all of their friends from preschool.